- not because history is dead, indeed i got some interesting stuff in. Said move should give me more free time to blog. In northwest Christian County, Kentucky - 8 miles from Hopkinsville, Ky - on the current Dawson Springs Road. church was founded by William Lowe, an Universal Redemption minister. It originally met in the home of James E. Clark (1770-1841). Pendleton district of South Carolina in the 1790s (apparently in Anderson County). Rev. Joab Clark (1807-1882) was a native of Christian County, ordained in 1835, was the regular preacher at Consolation from 1833 to 1882, replacing William Lowe. a Republican state Representative in 1885. His wife was a Methodist. Hosea was the President of the Kentucky Universalist Convention in 1893. Joab "Joe" Clark Junior (1856-1946) son of Rev Joab, active in the Universalist Church. Hosea's son, Claude R. Clark (1870-1943), was also an Universalist. His wife was a member of the Cumberland Presbyterians. Claude owned 6 grocery stores in the Hopkinsville area. The church was still active in the mid1930s (leaders include Pool and McCord). it was apparently gone by the time of the consolidation of Universalists and Unitarians. At one time, there were apparently at least three Universalist Churches in Christian County. Outlaw's Bridge Universalist Church was featured in an 1944 issue of Life Magazine. That issue is now on Google Books. 1950 - and it's worth reading the story on Outlaw's Bridge Universalist Church website - to see what dedication the members had to save what they could. After serious contemplation, I won't be attending the Georgia Convention - my car is needed elsewhere, and it really doesn't make sense for me to rent a car to go to the convention. The fact that i was seriously considering it - says just how excited I was, and how disappointed I am to be missing it. I hope that someone reading this, does go and can give us a report. (the car being needed elsewhere is for a not-so-secret project of my wife). I have been studying Georgia some, particularly looking at Monticello and Jasper County were a small band of Universalists were in the early 20th Century. Descendants of Archibald Standifer (of Jasper county) had claimed him to be an Universalist preacher. I've seen no mention of him in the Universalist Registers, but then I've seen others who I know were ministers not in the Registers either (ok, usually because they died before the registers got good and acurate). I then learned that Standifer had been a Christian (Diciples of Christ) minister in the 1830s - preaching at the Republician Meeting House nee' Antioch (still in southern Oconee county near Watkinsville). He was also a subcriber to CFR Shehane's Georgia/ South Carolina DOC newspaper from around that period of time. Did Standifer, like Shehane become Universalist? Not enough information to really know. I looked briefly at the southwest corner of Georgia looking for (and at) the small Universalist Churches there. I cant come up with family names yet - although a few towns show up. What I really find is my lack of knowledge of Georgia geography and history (once we get past 1-95). So I'm looking at maps and reading history. and the same is true for other parts of the south. I spent some time at Newberry with G - she showed me where the Hartford Meeting House is (now a rental home) - and we tried to find the Huntsville cemetary is (and thus the old Huntsville Union Church. Now, I had found particuarly good directions to within a few hundred yards of the site. And much to my irritation, the terrian has changed so much, that we couldnt find the cemetary. anybody reading this blog have co-ordinates to it? the Teague family was mostly burried at their family cemetary, so we didnt expect much to find, it was the idea. The revoluntionary war battlesite nearby remains unmarked as well. I was forwarded a copy of some recent news. The 2009 Georgia Universalist Convention meets in early August, in connection with the Rockwell Church annual Homecoming. The 2009 Windsor Homecoming will be in September. I commented on this book when it came out - and now I'm glad to say that there is a webpage devoted to selling it . You still can't order on line - but you can print that page out, add your name and address and check, and mail it in. And the publisher's email address is there. I and co-panelist, Rev Richard Trudeau, both liked the book. I found it an excellent summary of the original Universalist theology, written in a style easily for non-theologians to understand. With chapter titles like "Calvinism Improved", "the Challenge of Communal Piety", and "Universal Redemption and Social Reform" what isn't there to like? Answer: folks who like later versions of Universalism understandably don't like the dismissal of the later version. While I understand their concern, I like the book for what it does show us. "Our children ... have grown up with this book. Almost every summer they have endured trips to historic Universalist sites and New England graveyards. The names and teachings of nineteenth-century Universalists must be lodged somewhere deep in their minds. As I complete this work, that is not an unhappy thought. " as indicated earlier in the blog - there have been folks who stated that the first Universalist Church (in what is now the USA) was the Fredonia Meeting House in Newberry County, SC. We still havent found the location or the dates of the Meeting House... but we've found things on the name. NAMES ON THE LAND (1945) by George R. Stewart, states that Fredonia (the word) was created after 1800 by Dr. Samuel Latham Mitchell. This coinage was an attempt to rename the United States of America, much like "Columbia" was also intended. See the wikipedia biography . the term is used in his book MEDICAL REPOSITORY (1804) He mentioned the word in a letter to Thomas Jefferson in December 1803 - and apparently in 1804 published " An Address to the Fredes or People of the United States." It is therefore probable that the name of the Meeting House was based on the term Fredonia created in 1803 by Dr. Mitchell and popularized by him in 1804. If this is so, then we must also find likely that the Fredonia Meeting House was not the first Universalist Church in America (of course if Fredonia was the renaming of an early Church, then we still cant say that it wasnt -it just lessens the possiblity). (note: no religious content) I get a lot of hits from folks looking to find information on the Cloud's Creek Massacre. Apparently not much on the web, and this blog is listed as the number 2 google spot! so while off topic, let me help those folks (students? American revolutionary buffs?) but to the regular readers of this blog, it's off-topic, no Universalist known here - it just was close to the universalist Dunker church. this is where the Butler Cemetery and site of Massacre are. Major William Cunningham was placed in charge of a command of dragoons after Lord Rawdon abandoned Fort Ninety-Six (circa June 1781). With the death of Major Dunlap, Cunningham established a base on Cane Creek on the Keowee River (July 1781) and began raiding the Ninety-Six district. August 1, 1781 raids across the Saluda River with deaths of eight "noted" rebels, and increase in his loyalist troops. August 31, 1781 Parker's Ferry -British Commander Lt. Colonel Ernst Leopold von Borck vs General Francis Marion. The British suffered much causalities, but not Cunningham's troops. September 3, 1781 Cunningham attacked Ridgeway's Fort (on the Reedy River) capturing the fort without losing a man. circa October 1781, Hartley's Creek - Hell Hole Creek Massacre. Not much known, supposed 28 massacred. October 19, 1781 Surrender by General Cornwallis at Yorktown, Virginia. November 13, 1781 Cunningham and Hezekiah Williams began their long raid -basically attacking the homes of the Rebel officer's homes. They started by attacking Colonel Christopher Rowe's Plantation south of Orangeburg, SC. Cunningham then went to Fair Forrest Sping on the North Pacolet River, killing Edward Hampton. Crossed the Fork of the Edisto River, and troops were sent to Mount Willing. Then crossed the Saluda River into Newberry County. 30 members of the South Carolina Militia (Richland Creek and Edgefield district) were camped at the house of "Mr. Carter" on Cloud's Creek. They were surrounded by 300 of Cunningham's troops. The SC Militia attempted to surrender, but terms given by the Loyalists were the execution of James Butler Jr. Shots were then exchanged, and Captain Butler was killed, The remaining rebels surrendered, but all were put to death by sword and saber, except for two who managed to escape. Killed in the massacre were James Butler, Sr and Captain Stirling Turner. the troops then left the site, stopping to shoe their horses at the Towles Blacksmith shop , then killing the blacksmith and his assistants and burning the buildings. November 19, 1781 Hayes Station - Cunningham rode to the house of Major John Caldwell, invited him out, and shot him dead. They then crossed to the south side of the Saluda and went up to the Cherokee Path. Burned Anderson's Mills, , and then crossed the river to Laurens County and Hayes Station. A battle went on for several hours, until the rebels surrendered after the roof of the station was set on fire. Two rebels were killed in the fighting, 12 other killed by hanging and sword afterwards. That night, they stayed at Oddell's Mills. November 1781, Cunningham headed to the home of John Boyce at Duncan's Creek in southern Union County - while surprised, Boyce managed to escape to the home of Captain Christopher Casey. Casey and his troops captured a few where the Duncan's Creek meets the Enoree River. Casey hanged them at the intersection of the Charlestown Road and Ninety-Six Road. December 2, 1781 Cunnigham split his troops into three divisions. One went to the Cherokee lands, one went through the Long Canes to Charleston. Feb 1782 Cuningham active in the defense of Charleston. May 24 1782 Dean's Swamp Captain William Butler, son of James Butler killed at Cloud's Creek, attacked Cunnigham's troops that were were attempting to rescue prisoners. September 1782 - Lorick's Ferry - while Pickens was out fighting Cherokees, Cunnighman made a raid to the Saluda River area. Again the rebels led by William Butler attacked them. During this fight, Butler was able to obtain Cunnigham's sword. December 14, 1782 British evacuate Charleston and Cunnigham goes to East Florida. Left out of this was Cunnigham's reasons for hatred for the Rebels - and he had some good ones. this is a rare example of a Universalist Church in the south founded by non-southerners. this is the First Universalist in Clinton, NC an Universalist/UU congregation from the 1880s to the 1970s. Peggy Rawheiser tells me that the parsonage was to the left (now a vacant lot), with a connector built between the two buildings. The connector was used to house the Clinton town Library that Rev Bryant started. This church originally started as a rural church on the other side of the state line, moved into town with money provided by the YPCU (the youth organization of the Universalsit Church) as a tribute to Rev Shinn. the Church fizzled out by the late 1940s and early 1950s, it was even used by the Unitarian Fellowship in the mid or late 1950s, before eventually being sold and become "Second Baptist". The Southern Universalist Institute was held here up to the 1930s. this was known as the Universalist Evangelical Institute (or something like that) back before the word "Evangelical" changed meanings. This is a truly awful street view, too much early morning sunlight. This Church was founded around 1907, by folks who heard the news about Universalism and wanted an Universalist Church so much that they were determined to have one, even if it had to be in "our home"! Back in the 1970s, a local bluegrass band recorded a song about "the Free Church of Jones" making it the only UU congregation that I'm aware of, with their own bluegrass theme song. not a current congregation, although members still live nearby and keep the building and cometary up. Nice library filled with late 19th and early 20th century books, they had a copy of Clayton's autobiography and a Manual of Faith and Duty. Congregation ran from around the 1890s to 1990s. Red Hill has been around since the 1840s (or earlier) , and for good reason - wonderful people. Our Home in Ellisville Mississippi, Canon Georgia (not on street view yet), Athens (hard for me to think of it as a historic Universalist Church), and Winder in Georgia, and Liberty in Mississippi. And then of course, I will try to do the best I can to add "former sites". No, you can't see it from the Street. You can see the sign - which is what you see here. Across the street you can see the historic marker for the Feasterville Academy. Both the Church and Academy buildings still exist . If you get out of your car and go down the road a little bit, you pass a home, and then you reach the clearing where the Church is, with "no trespassing" signs there. Please respect them and the family association that owns the buildings. Liberty was used as an Universalist Church building from the 1840s to around the 1930s. Copies of the Myrtle - a children's Universalist Sunday School paper of the 1920s were in the building when I visited. I hear of services in the 1950s, I know it was used for weddings in the 1950s. This is the mother church of the SC, Georgia, Alabama, and continued west southern Universalist Churches. at one time one of the largest Universalist congregations in the south, with a popular radio show "The Universalist Hour" in the 1950s, the congregation ended sometime in the late 1980s. Cornerstone Community Church occupied the building at least from 2005 -2009+ and I wouldn't be surprised from the 1990s on (Cornerstone was founded in 1987). Cornerstone appears to be affiliated with one of the Church of God denominations. (I'd be glad to make corrections, if anyone from Cornerstone reads this). Again the Google Street address is not the real address of this building. Odd that Google has the side street view, but not the main highway (Front) view yet! again, the address supplied by Google maps is not the actual address of the Church. Moundville and Saluda SC dont have street views yet (although I was surprised to see that the map folks did get up to Coleman's Crossroads). Recently over at Boys In the Band, Abraham Lincoln and his religious views came up.
" The Faith of Abraham Lincoln" by Rev. L. C. Marvin. disputant was the better speaker?" waiting for Mr. T. to reply, immediately took up the gauntlet himself. perfectly certain that he would gain it." Such were his words. " Marvin. (He has an unnamed Illinois Universalist minister he accuses of adultery. So no confirming source of this quote. in Springfield, and all parties attended. I remember seeing Mr.
was to be his future position in the world." The Annual Convention of Georgia Universalists was held in Walesca, beginning Thursday, the 2nd of September, and closing Monday night, the 6th. The first day was devoted to the Young People's Christian Union and was helpful and encouraging. New unions have been formed and those already existing have been strengthened. The new officers are: President, R. U. Wright of Winder; secretary, Elijah Love of Atlanta; treasurer Fredonia Rhyne, Walesca. Reports on the "state of the Church" given Friday, showed that three new Church edifices have been erected in the past year and fully paid for, and twice as many new organizations perfected. Rev. Thomas Chapman of Winder, state missionary, rendered encouraging accounts, and $260 was raised to assist his endeavor. On Saturday the new church recently built in Walesca was formally dedicated. W. H. McGlauflin, D.D. of Atlanta, preaching the sermon. 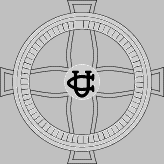 After the dedication, all services were held in the chapel of Reinhardt College, an auditoriam seating a thousand people, and kindly offered by the Methodists. Sunday, Rev. D. B. Clayton D.D., of Columbia SC offered the occasional sermon to a great audience. The convention closed Monday night with a sermon by Rev. Thomas Chapman. There was a deep religious interest all through, and nineteen new members were added to the Church. M.C. House, treasurer; committee on fellowship, ordination, and discipline, W. H. McGlauflin, D.D., Atlanta, J. H. Parks, Gratis; Thomas Chapman, Winder. The next convention will be held in Lithonia. Reinhardt Academy was founded in 1884 as a post-primary Methodist school in Waleska Georgia. At some point, it begain offering college level courses, and was accredited as a Junior College in 1953. Accredited as a 4 years school in 1994. I see no reason to doubt the AC of 1897 that it was a college in 1897. Waleska Georgia. It is located in Cherokee County, settled by the Reinhardt, Sharp, Rhyne, and Heard families; and a town by 1856. The spelling was changed from Walesca to Waleska to avoid confusion with another town with that name. Incorporated in 1889 - it is today a college town. It is located in the center of the top 1/4 of Georgia. Lithonia, Georgia is located in Dekalb County Georgia, near Stone Mountain Georgia in what is now the metro Atlanta area. Lodusca Fredonia Rhyne (October 1873-January 1968) daughter of Hosea B. and Maggie Rhyne. I would suspect his middle name is probably Ballou. Both were born in Georgia, his parents were from Lincoln County, North Carolina. Like many southerners, she went by her middle name. Married a Smith, died in Birmingham, Alabama, might have lived in Atlanta in the 1930s. Elijah Love (July 1876 -1901+ ) born in Nebraska, cigar maker and secretary of the local Cigar makers union in Atlanta. In Atlanta. R.N. Wright is the correct name for the article's R.U. Wright. my yard is pictured with spouse opening up the car door to get in - which we found interesting; it might be disturbing if the address was correctly listed - it isnt. This also means that it wont be perfect for finding locations. as you can see by the deadlink above, its not too useful for linking yet either. I have used it to look at the old Shinn Memorial in Tennessee - the Baptist Church now there has apparently taken good care of the old building. Neither Red Hill nor Outlaw's Bridge have been googlemaped yet - Mountville cemetary is a block or so away from the one road with a streetview. Bethel is far far from a streetview. Looking at the old Universalist Church site near the intersection of Harris and Peachtree in Atlanta, we see that it's now the height of Atlanta downtown.